What Are Geosynchronous & Geostationary Satellites? What's The Difference? What Is A Geosynchronous Satellite And How Is It Different From A Geostationary Satellite? A geosynchronous satellite is a satellite that remains in geosynchronous orbit around our planet, meaning that its orbital period is the same as that of Earth. In other words, a geosynchronous satellite revolves around the planet at the same speed at which the planet rotates on its axis. That’s the reason why this kind of satellite appears to be in the same region in the sky (at a given time of the day) when viewed from a particular position on Earth. The orbital period of a geosynchronous satellite is a sidereal day, i.e., 23 hours, 56 minutes and 4 seconds, which is why it seems to stay in place over a single longitude (although it may drift south/north depending upon the orbit’s inclination with Earth’s equatorial plane). The orbits where geosynchronous satellites revolve are known as geosynchronous orbits. A satellite that’s in a geosynchronous orbit appears at exactly the same spot in the sky after a period of one sidereal day, when viewed from a specific position on Earth. Geosynchronous orbits that are circular in shape have a radius of 26,199 miles (42,164 km). If the same satellite is observed for an entire day from a particular position on the ground, it either drifts north or south (it traces a distorted path like the number ‘8’) or remains stationary in the same spot. A satellite of the latter kind is known as a geostationary satellite and it plays an instrumental role in global communications and weather forecasting. However, many people get confused between geosynchronous and geostationary satellites, and tend to assume that both are basically the same thing. As it so happens, that’s simply not true. A geostationary orbit (also known as a geostationary Earth orbit, geosynchronous equatorial orbit, or simply GEO) is a circular orbit located at an altitude of 35,786 kilometers (22,236 miles) above the surface of Earth with zero inclination to the equatorial plane. A satellite in this orbit is known as a geostationary satellite, and has an orbital period of one sidereal day (23 hours, 56 minutes and 4 seconds), which means that it completes one revolution around Earth in exactly the same time as Earth completes one rotation on its axis. 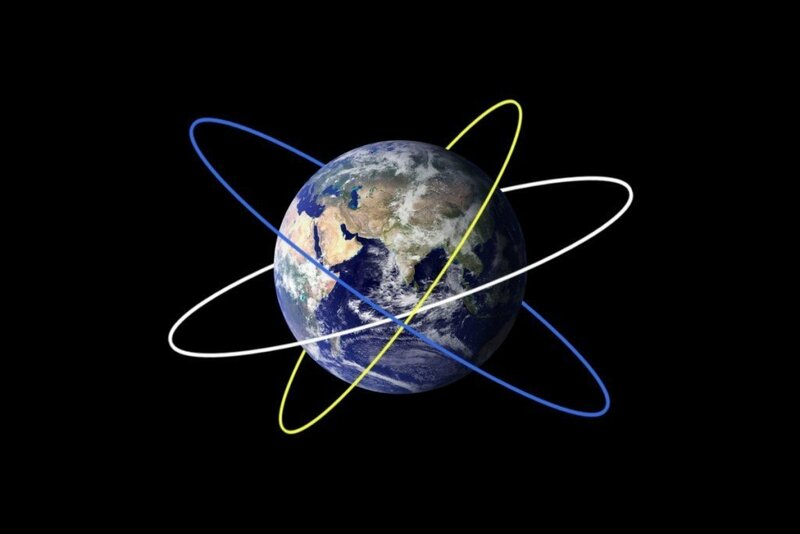 Since a geostationary satellite has the same orbital period as Earth, and it also travels from west to east (the direction in which Earth rotates on its axis), it therefore appears to hover at a single point in the sky when observed from a given point on the ground. Hence, the name ‘geostationary’, as it appears “stationary” from a given geographical location. Looking at the definitions of both geostationary and geosynchronous orbits outlined above, it’s quite clear that there is very little difference between the two. A satellite in geosynchronous orbit has the same orbital period, i.e., one sidereal day, as that of a satellite in a geostationary orbit. 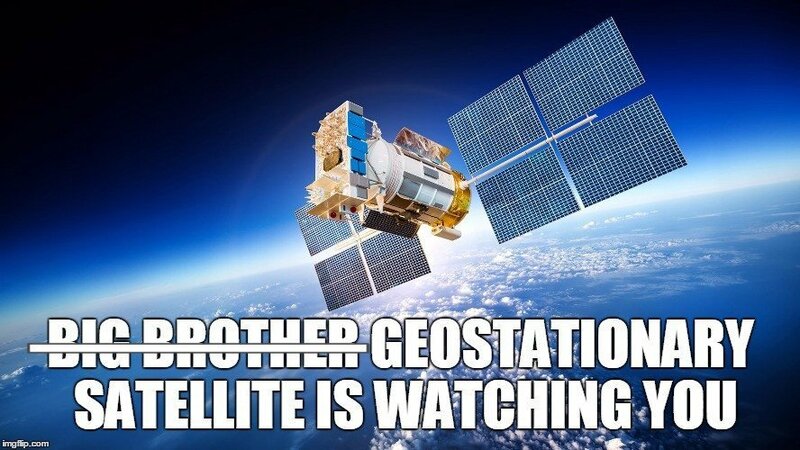 Therefore, ‘every’ geostationary satellite is a geosynchronous satellite, but it’s not (necessarily) true the other way round, i.e., a geosynchronous satellite may or may not be geostationary. You could also say that geostationary satellites are a subset of geosynchronous satellites. Some examples of geostationary satellites are the American GOES (Geostationary Operational Environmental Satellite) series, the Indian INSAT satellites, Japanese Himawari, European Meteostat and Chinese Fengyun. Note that since all these satellites fall under a particular category of geosynchronous satellites, they are also categorized as geosynchronous satellites. Examples of geosynchronous satellites (which have the inclined orbit) include the Russian Raduga 29, Indian Astra 1C, Malaysian MEASAT 2 and many others. 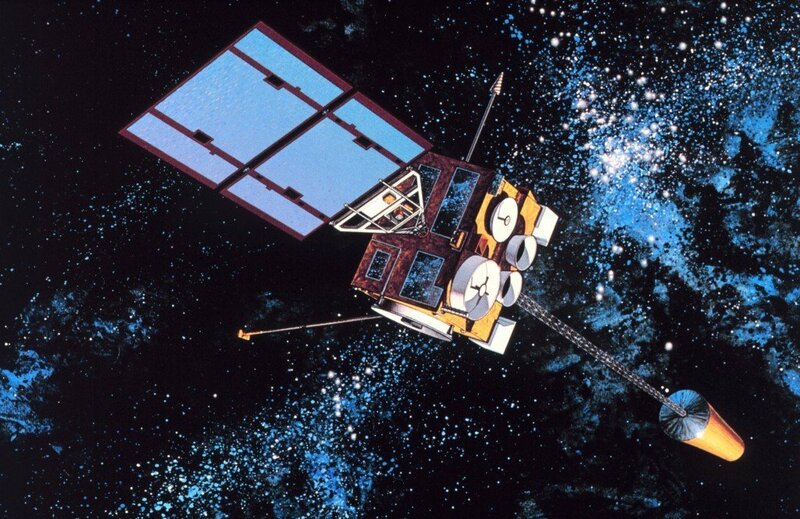 Geosynchronous satellites are typically used for various purposes, such as communicating back and forth with spacecraft (like the Hubble Space Telescope and space shuttles), voice communication, Internet, broadcasting cable TV and radio signals, as well as weather forecasting. Geostationary satellites, in particular, can give you detailed terrestrial and weather-related information about a particular geographical region, making them an ideal choice to predict climate trends in that region – or even act as a spy satellite!